I tried to ignore the controversy. It seemed so silly to me—people up in arms over a mosque proposed to be built two blocks from Ground Zero. As if New York City Muslims didn’t have the right to worship on Friday afternoons near their jobs, or shouldn’t be allowed to pray in lower Manhattan at all. People are smarter than that, aren’t they? I asked myself. This issue will soon go away. But it didn’t. For four months already, from May until now, the disagreement over the project has continued to grab headlines and rile the public. As time goes on, it becomes more and more evident that while most people won’t be standing outside the planned Park51 community center with picket signs screaming “Hell no, mosque gotta go,” lots of folks don’t think that a mosque near the site of a terrorist attack perpetrated by so-called Muslims is a good idea. According to a Quinnipiac poll released at the end of August, 63 percent of New York City voters said the mosque should be built somewhere else. The intolerance that people are displaying saddens me, especially because it seems based on ignorance. Surely, people must know that Muslims also died in the Sept. 11 terrorist attacks. They must recognize that Muslims were among those police officers, firefighters and EMTs who responded to the tragedy. They must understand that there already was a Muslim prayer room inside at least one of the World Trade Center towers. That’s why when I heard that U.S. Muslim organizations were planning a summit—which was held in New York City on Sunday—to discuss plans for the new center and the increased anti-Islamic sentiment that has subsequently surfaced, I was glad. 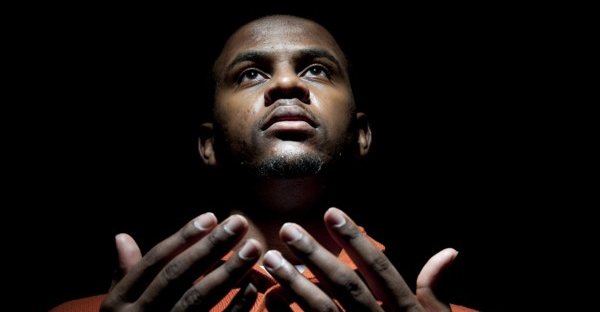 American Muslims, particularly African American Muslims—myself included—stay quiet on these issues too often. We don’t want to expose ourselves to the bigotry, don’t want to get caught up in controversy that may or may not concern us. 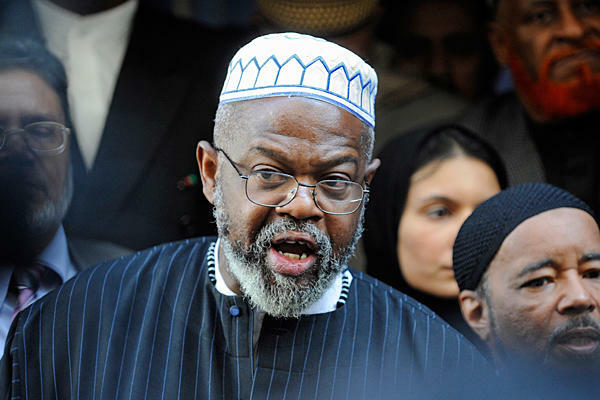 Imam Talib Abdur-Rashid of the Muslim Alliance in North America and Harlem's Mosque of Islamic Brotherhood. But by doing that, we allow the ignorance and the intolerance to persist. Only by standing up and standing together, as the collection of imams and other American Muslim leaders did at their Monday press conference, can we begin to combat the misplaced anti-Muslim sentiment. So let me say, unequivocally, there’s no reason to protest a mosque being built near Ground Zero. Now, a shrine to Mohammed Atta on that site—that would be something to protest. A visitors and welcome center for Osama bin Laden—that would be something to protest. A continuing education course for would-be hijackers—definitely something to protest. But a place to worship God should not be opposed. This entry was posted in Mosque, New York City. Bookmark the permalink.